A Full Section In One Bundle! Everything you need to do a unit on flatworms. Learn general planarian anatomy using the Ward's planarian model. 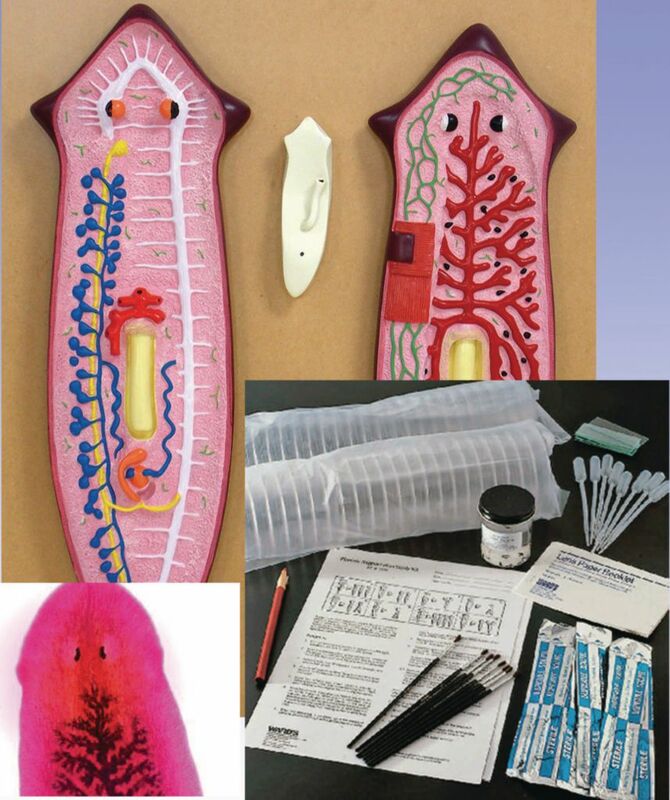 This, large, four part model shows planarian anatomy in great detail and was designed from detailed anatomical study and comparison to reference slides. The Size makes it easy for a groups to explore the model easily and identify what they are seeing. The included microscope slide is prepared to show the digestive system of a Planaria. Finally the whole class can play with Planaria while learning about one of their best known features, regeneration. The class activity kit allows each group to observe regeneration in their own Planaria, and learn about cell polarity.